Are you looking for a business loan to expand your business, buy more equipment, or meet your working capital requirements? You will need to pay attention to your credit score! A credit score is a three-digit number which ranges from 300 to 850 and conveys if you can be given a loan based on your credit report (past repayment records). It is one of the important criteria listed by banks/NBFCs/other lending institutions for lending business loans. A good credit score increases your chance of getting a loan more easily and at good and affordable interest rates. The credit score is generally provided by credit bureaus. 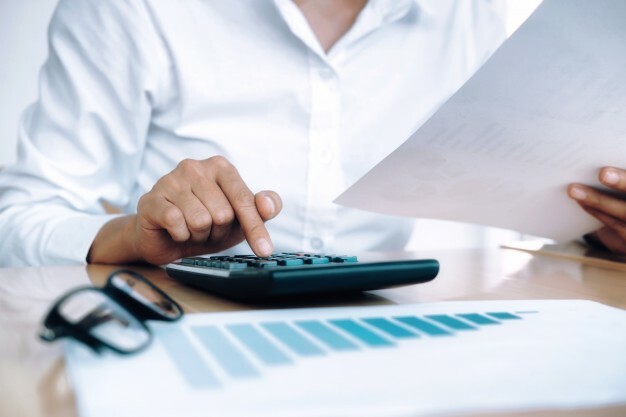 Although, some lenders may even have their own credit score calculation system/algorithms and their own customized credit scores as a loan application criteria. Let’s take a look at some of the institutions that calculate credit scores for small business owners. CIBIL is the most popular of them all and consists of an analysis of all the past loans, financial resources, and credit cards’ activity of an individual. This data helps in knowing whether the individual will be able to repay the loan and on time. CIBIL compares the credit history of the previous three years in the calculation with your credit score. Equifax offers services like risk scoring, portfolio reviews, credit information reports, etc. and services to companies like credit and fraud management. ICRA Limited in an investment information and credit rating company. Experian is an international credit rating and analytics company and provides services under the name, Experian Credit Information Company of India Private Ltd.
CRIF High Mark is a credit rating company that provides services like credit rating and analytics to retail consumers, MSMEs, commercial borrowers, and other microfinance borrowers. The range of the CIBIL score is between 300-850 where 300 determines the lowest degree of creditworthiness and 900 determines the highest degree of creditworthiness. 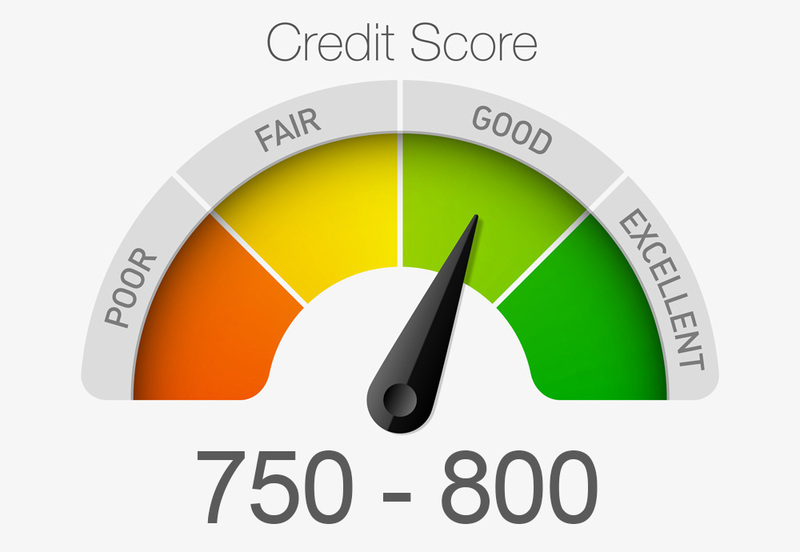 700 to 750 is considered to be a good credit score, a score of less than 700 is a risk for the lenders. A score of more than 800 is considered to be an excellent score, the one required to avail the best available loans. Therefore, having a score of 700 is one of the criteria for loan approval. The interest rate at which you take the loan is directly related to the credit score. If the credit score is good, you will be able to take the loan at the best interest rates available. This can free up your cash flow and help manage expenses better. With a good credit score, you can negotiate on a lower interest rate for the loan. But, if you have a low credit score, the lenders would not be flexible with the loan terms. What Factors Affect The Credit Score? Repayment history is the most important factor affecting the CIBIL score. If you haven’t paid any one of the loans on time, it will affect your score negatively. But if you have paid on time always, you will have a good credit score. If you have paid all your bills on time. If any of your accounts have gone to the collection agencies, by lenders to recover funds or default accounts. If there are any debts, bankruptcies, foreclosures, or court cases against you. The frequency of missed payments. Even though you may be making all your payments on time, it is also necessary to keep a track of all your debts, your earning capacity, and the actual earnings, so that you know the ones you’ve cleared and the ones that remain. If currently you already have some debts to be paid, and you increase them, it will affect your credit score. Whenever you apply for a loan, the lender/lending institution always inquires on your CIBIL report to check your credit history and score. If there are many such inquiries i.e. if you simultaneously apply for many loans, it will affect your credit score because this indicates that you may be taking on more debts than you can service. For how long you have been using credit also affects your credit score. High credit utilization over a period of time has a negative impact on your credit report as it indicates the increasing number of debts. Credit utilization is calculated by dividing the outstanding amount with the credit limit. If the credit utilization reduces over a period of time, it will help boost your credit score. A large percentage of any unsecured credit like a personal loan or the credit card expenditure also affect your CIBIL score in a negative manner. Banks consider this as wrong management of finances. More secured loans will help your credit score to go up. If you have opened many accounts currently i.e. applied for more credits if facing cash-flow issues, and the percentage of these accounts is higher than the total number of credits, then this will affect your credit score. A mix of different credits is good for the credit score as this describes how well you manage all of these effectively, which also helps in gaining lender’s trust. It is necessary to review or check the credit report within at least 6 months so that you can correct the errors if any. Any mistake in the report or a wrong report will reflect the lender which in turn will reduce your credit score. If you keep making the loan repayments on time, it will have a positive effect on your credit score. Paying your loans earlier or later than the due date can also affect your credit score. Before you make any repayment before or after the due date, carefully read the terms and conditions of the lender. If there is a request for a higher credit limit by the lender frequently, this can also affect the credit score negatively. The lenders/bank will then inquire for your reports from CIBIL, and this inquiry will also affect your credit score. If you become a guarantor for another person’s loan it will not have a negative effect on your credit score until the other person becomes a defaulter or delays payments. CIBIL score creates the right impression of the borrower’s creditworthiness. Therefore, the lenders first check the credit score before approving the loan. So maintaining a good credit score is very important. If you have a good credit score, the lender will then check your repayment capabilities. But if your CIBIL is not good all other factors are not that important, your loan request can get rejected immediately. If your CIBIL score is good, you can negotiate on certain terms and condition of the lender like the interest rate. You can reach to an interest rate which is good for you. The prepayment charges and the processing fee can mostly be nullified with a good credit score by many lenders. But if the CIBIL score is not good, you might end up taking a loan at a higher interest rate. If your CIBIL score is high, you also have chances of getting the upper limit of loans. People with a good credit score get easy approval for loans for rented or leased properties like homes, commercial complexes, apartments, and offices. People with a good CIBIL score can get exciting credit card offers from most banks. These cards have higher limits, more privileges, and amazing offers with cash back. By visiting websites which offer free credit scores. But it is important that you check their terms and conditions before. By logging in to your account or also with your monthly statement by opting for this option. Visiting a credit counselor who can get your credit scores and will also go over the details of the same with you. Apart from getting the loans approved, the applicant can also get good credit card offers with a good credit score. Keep a tab on your credit card balance. Use the credit card only for emergency purposes and stop using your credit card if there’s less balance left. Clear all the payments of the creditors. Do not close credit accounts. When you close your old and unused accounts, it will help you save on the unnecessary fees, which can have a negative effect on your credit score (if you close many at one time). Improving your credit score is a good way to ensure easy business loans. If you are looking for a quick unsecured business loan, get in touch with Gromor Finance. We have an in-house process to evaluate your credit score and overall eligibility and offer business loans up to Rs. 10 lakhs!